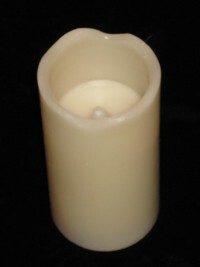 Most candles are vanilla colored. 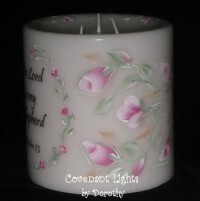 Some candles have been basecoated in another color before hand painting my design. 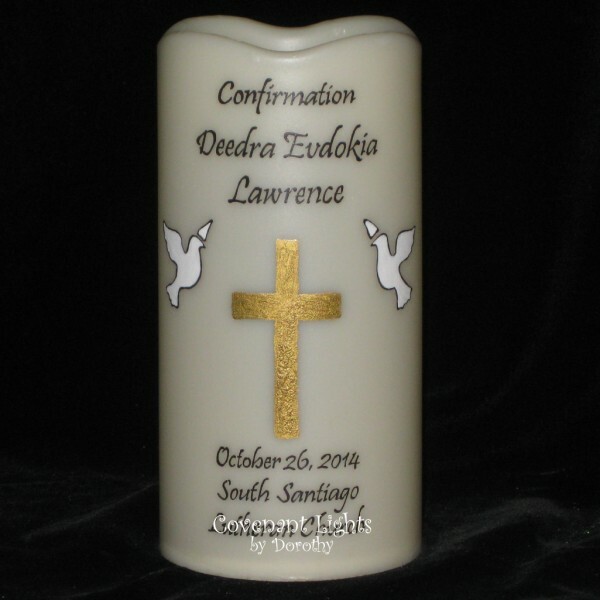 If you desire additional hand lettering, please contact me for a price quote BEFORE ordering. 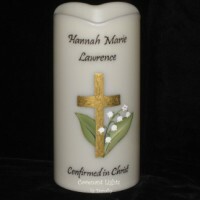 If you desire different OR additional hand lettering, please contact me for a price quote BEFORE ordering. 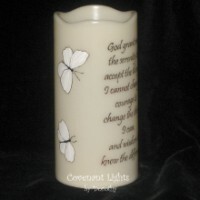 Perfect for your daily devotional space. 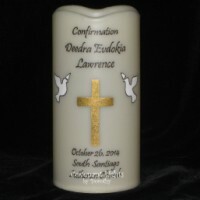 This is a flameless, LED, battery-operated candle. 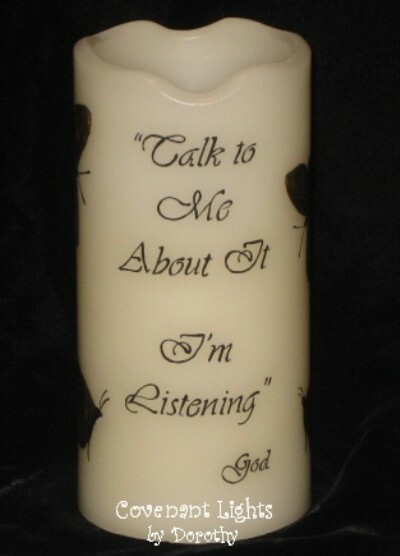 This candle is a thoughtful gift to encourage your loved ones who are going through difficult times. 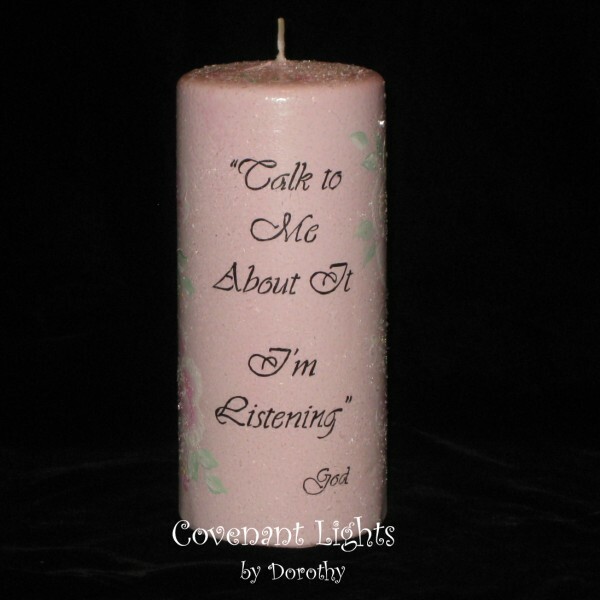 A wonderful reminder that God is always available and wants to hear from us! 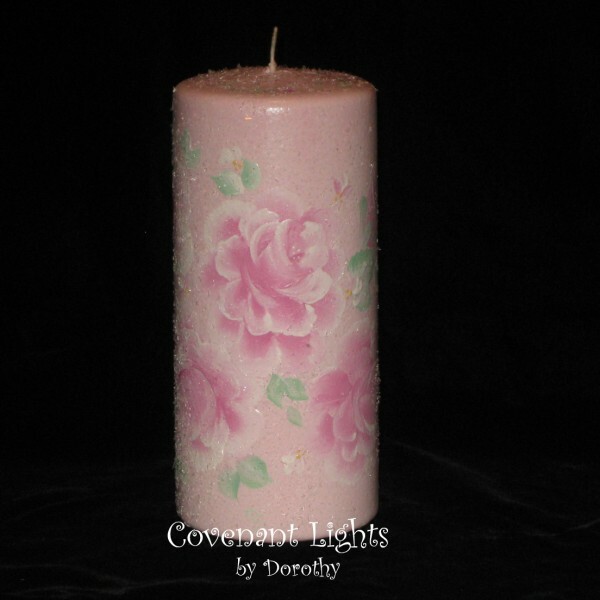 Shabby light pink roses hand painted on a pink based candle. 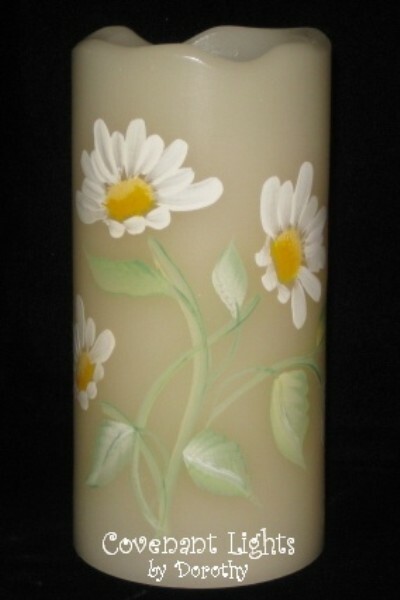 Lightly dusted with beautiful glitter. 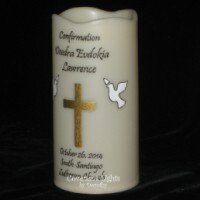 This is a flameless, battery-operated candle that runs on 3 AAA batteries with on/off switch. 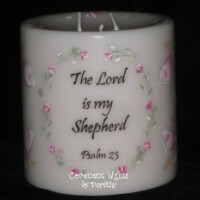 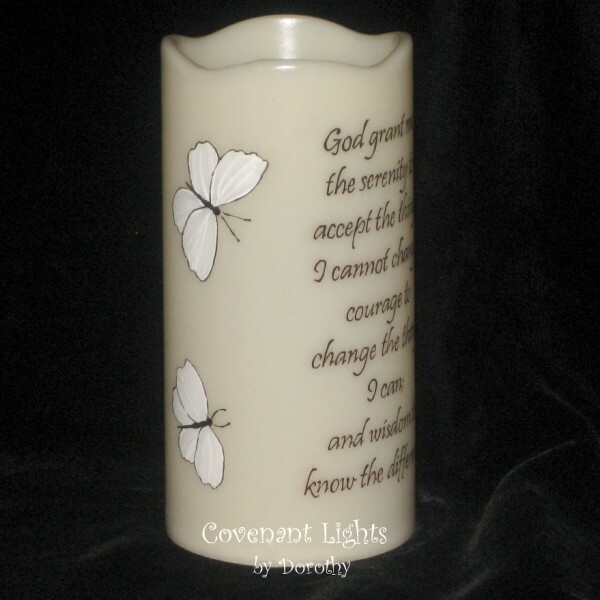 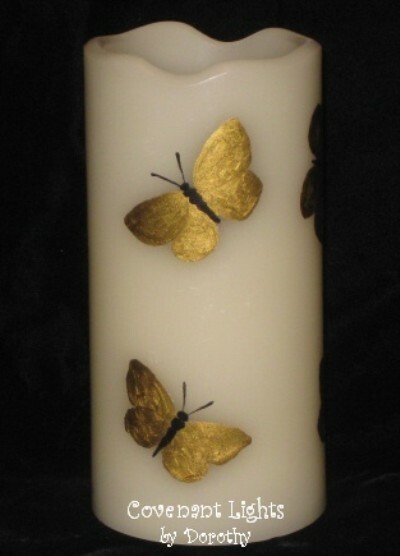 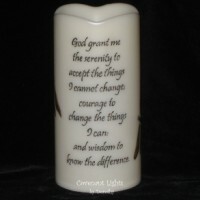 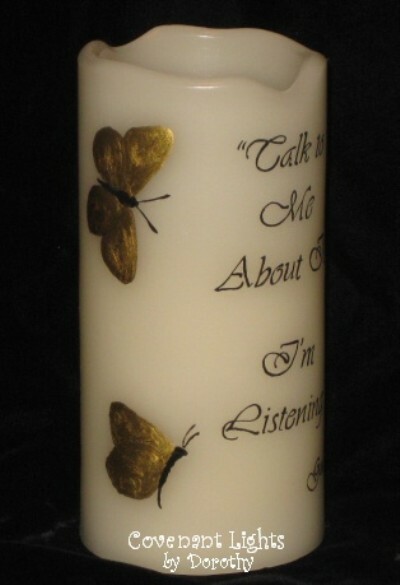 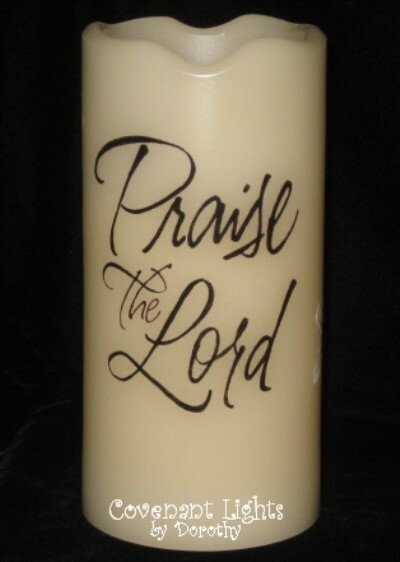 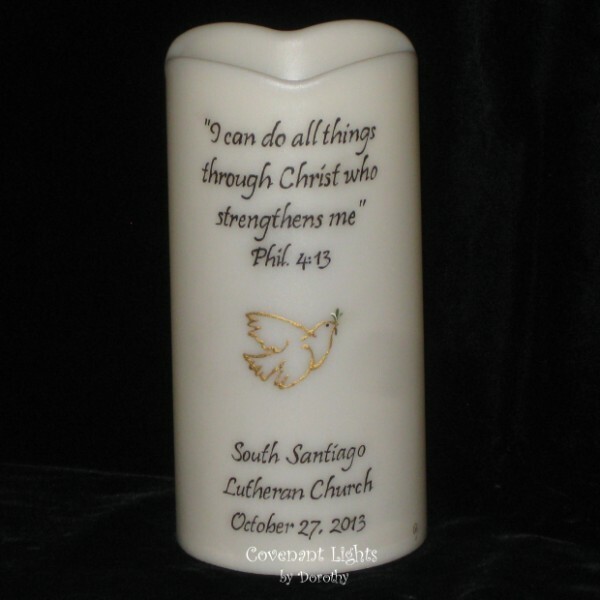 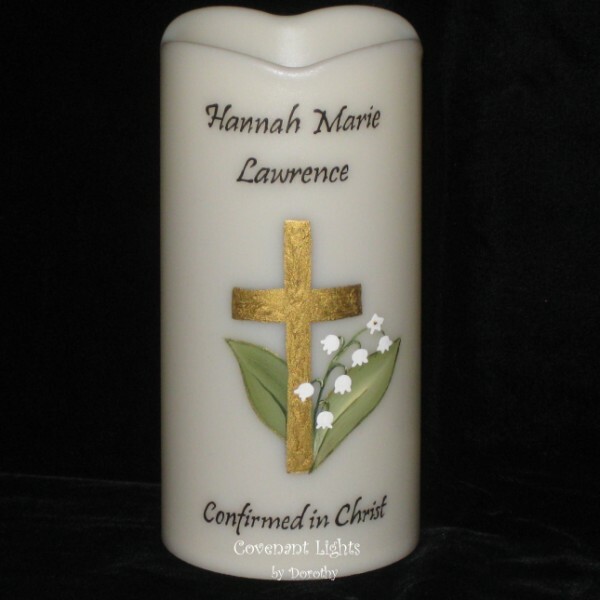 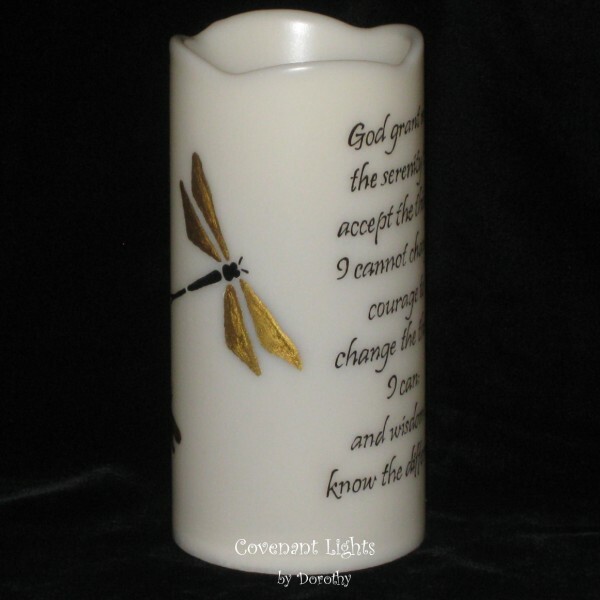 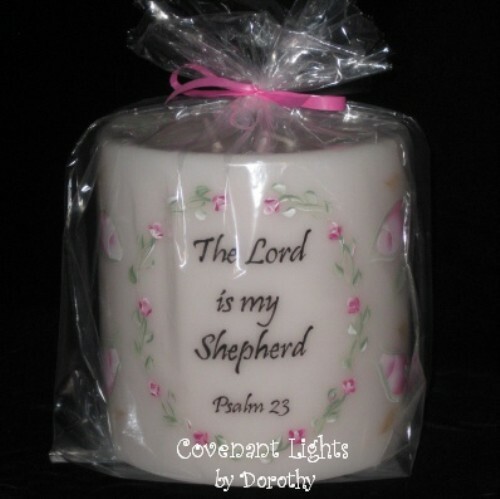 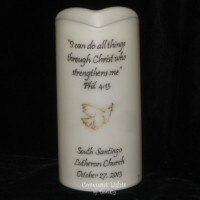 This candle is a wonderful gift to encourage our loved ones who are going through difficult times.